I thoroughly enjoyed getting to know this fascinating political figure better through the varied accounts of his friends, colleagues and political connections. I've been enthralled by PET since finding out as a child that we had the same birthday. As a fellow Libra I deeply admire his strong desire for a just society, and I'm extremely proud of how he forever changed our county for the better with his Charter of Rights and Freedoms. He was a passionate father, outdoorsman, and as an intellectual he dearly loved a good debate! I don't read 'serious' books very often anymore, but I loved this. Nancy Southam is easy to read. It's not the most substantial book, especially as some of the memories and anecdotes are so well known, they verge on cliche. But it's still suffused with a golden glow of nostalgia, and there are a number of gems that will make you laugh and sigh with equal measure. A behind the scenes of a very private and down-to-earth man who really loved Canada. 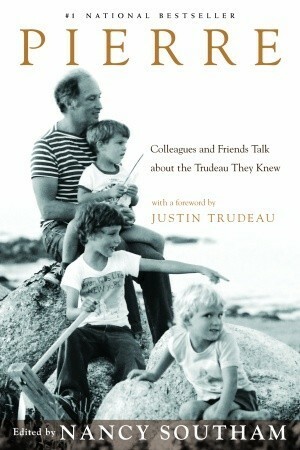 Amazing biography based on anecdotes of people who knew or interacted with Canada's most colorful prime minister to date. Expanded my horizons of non-US politicians.